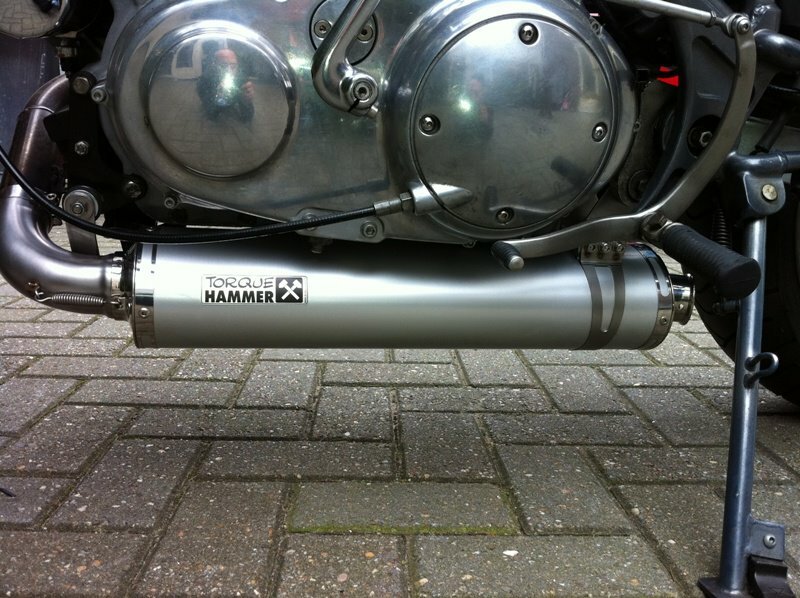 29-3-2012 - In this article you can follow the developing of a Torque Hammer exhaust for the old Tube style Buell models. The first Torque Hammer we will develop for the Buell X1, Buell S3, Buell M2 and Buell S2, S1 Later we will also make this exhaust for 2,5 inch headers and the older Buell models. One of the most difficult things is to make a beautiful export product. So what we develop must be of good quality, and Buell riders should be able withhout any extra hardware to mount it at home. Below you see a clamp we developd that is unbreakable. You can only mount it on 1 way. And cannot overtighten the bolts and nuts. Here is another picture from the rear. Be aware this is till a prototype and not the final version. As you can see we will also make a db-killer and we are playing with the idea of the sound and performance of the db-killer. All our db-killers for the Sportsters and other buell's kill the sound but not the performance. In the picture below, you can see we connect the Headers to the Torque Hammer muffler with springs. We will also do this with the hanger that is now welded to the exhaust to prevent breaking of the hanger. We make this for the Y model, and the old model bracket. After testing we developed the lenght and the inner tube size to have maximum low end Torque at 3000-3500 RPM and high RPM HP. 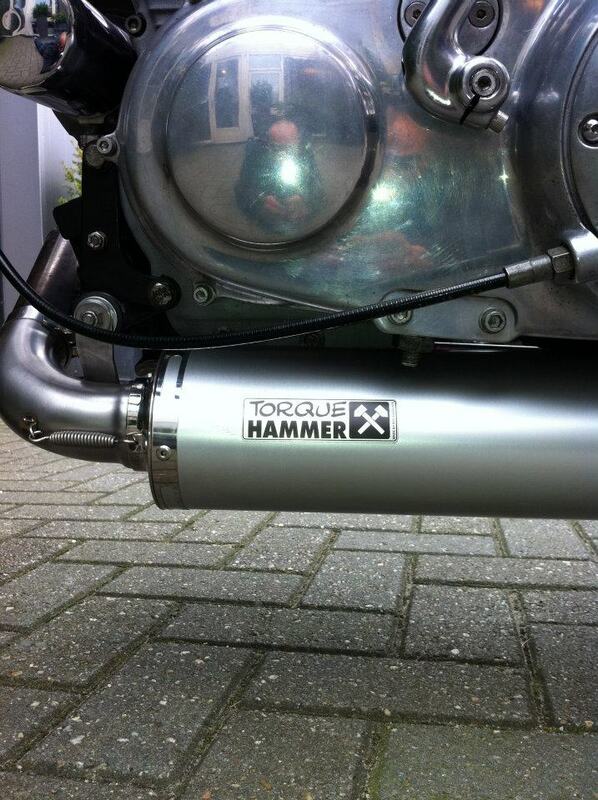 Below you see the complete Lenght of the Torque Hammer exhaust. I Hope tomorrow we have some time, to fit it on a Buell X1, and takes some more pictures. For the Tubers with a carb, we also will develop a carb kit. Just replace the needles and the jets. We are now dismounting the exhaust from teh S3 and fit it on a X1 with front Y bracket. After thinking about this, we are almost sure we will make a new bracket and ship that with the exhaust. At the end that is the most save way, everybody then has a new bracket and our Exhaust will always fit on the Front Engine mount for the exhaust. Oke we made a new hanger system for in the front to be sure it cannot brake, we also made a new front exhaust mount bracket. Now we need a test driver who can make some miles on the exhaust. This Torque Hammer proto type is for a 2 inch header connection. Now we need a test driver who can make some miles on the exhaust. This Torque Hammer proto type is for a 2 inch header connection, The Engine needs to be supported to fit this exhaust with the new bracket. 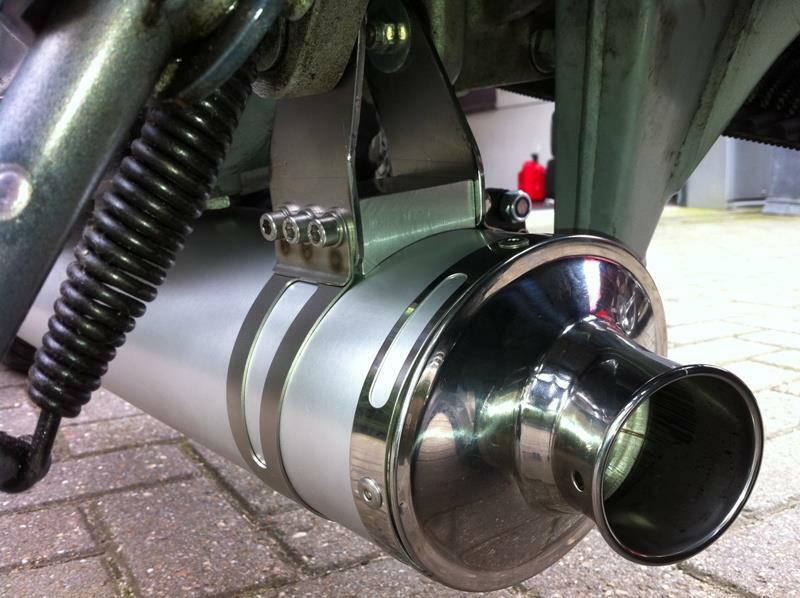 If you have a Tube Buell X1, S3 with a 2 inch connection header, and you want to be our test driver and get a free exhaust please send a mail to dris@twinmotorcycles.nl I will select only 1 driver, and it needs to be a winter driver who lives in a sunny state (-: and can start right away. In 4 weeks we can deliver the first Tube Frame Buell exhaust for the Buell S1, S3, M2, X1 Models in a 2inch and a 2,5 inch exhaust. We give 2 years full warranty, the exhaust comes with a db-killer. Today I finished the Fuelmap for the BUEIB310 Buell Race ECM for a Buell X1 with our 2 inch version Torque Hammer exhaust and a stock airbox with a K&N filter placed. We ship the fuelmaps for free by mail to upload with ecmspy when available or You send the ECM and we program thjem here and send them back with the exhaust. When a customer buy's a Torque Hammer exhaust for all Tube Buell Fuell injected bikes we do that and for the carb versions we make a special set with jets and needle to putchase. This fuelmap has a nice timing map and is programmed for 95 octane. This bike with the stock airbox made 90.5 HP and 105 NM of Torque SAE corrected on the rear Wheel. Later i will dyno a X1 with a open airbox from K&N i think we will see a HP and Torque increase. What is more important and why we love our bikes is the Torque. 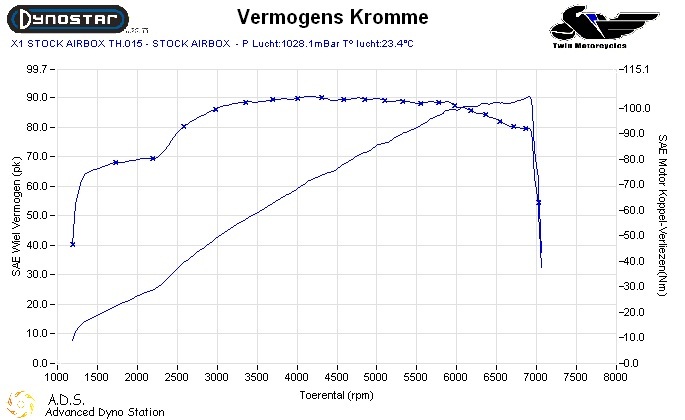 Now look at the dynosheet and see how flat the torque curve is from 2500 till 6000 RPM. That's why our exhaust systems called Torque Hammers. 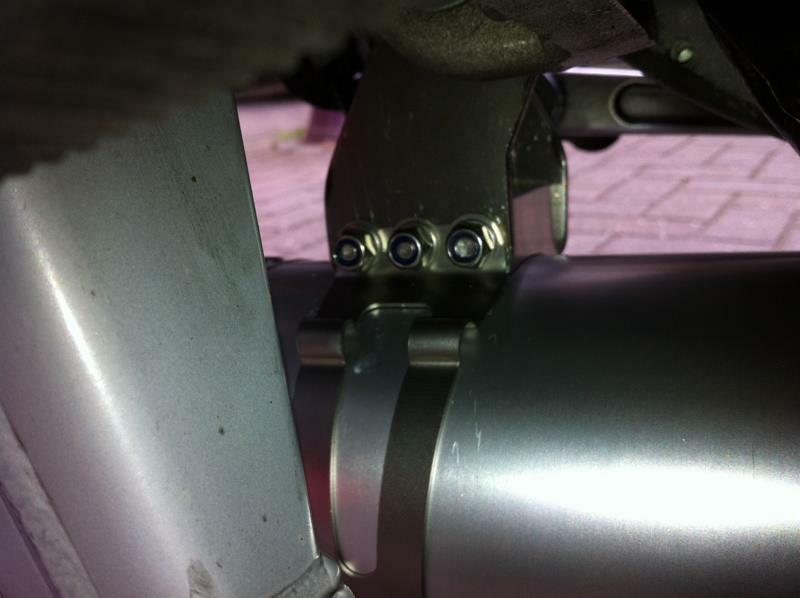 ‎2 Wideband O2 sensors hooked up and connected and 1 day work and the customer will not regonize his bike again. It's a shame he has a stock airbox with a K&N filter. But he loves the stock look. 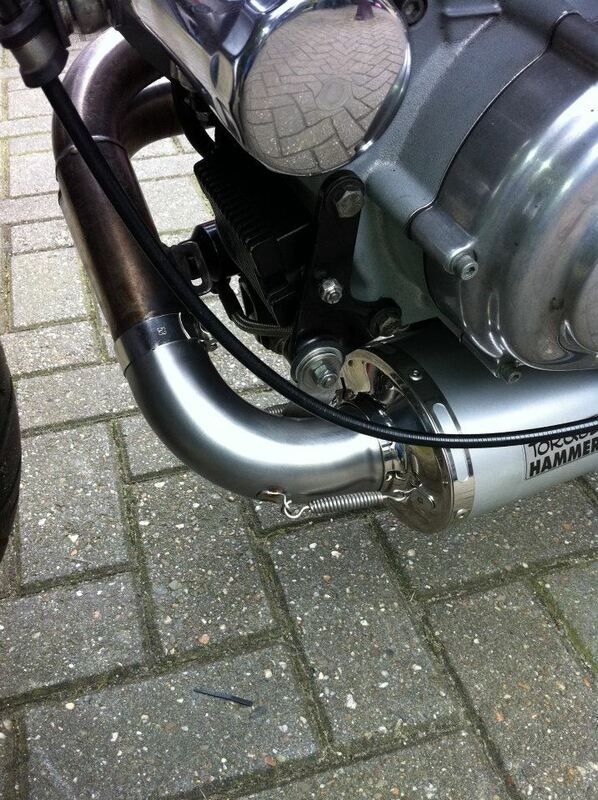 Look how Nice the Torque Hammer fit's under the bike nice lined up. Nice exhaust exit, keeps the wheel free from exhaust gasses, Nice rear hanger with unbreakable clamp.